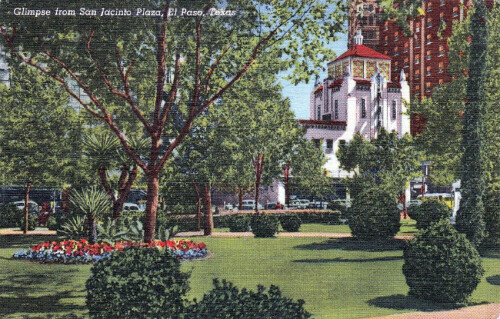 "Glimpse from San Jacinto Plaza, El Paso, Texas" Information on the back and handwritten message. Visible: Many trees, plans, flowers, and cars. You can see a building with colorful windows. Hilton Hotel is visible at the top right corner.